Metro Bike Share is continuing to grow. This year we expanded into the USC/Expo Park/University Park area and have exciting plans for 2019. Your feedback is important to us. Last year we surveyed riders and non-riders alike to learn how to make Metro Bike Share the best it can be, and this year we want to hear from you again. This short, confidential survey will take just 5 to 10 minutes to complete. To show our thanks, those who complete the survey will be entered for a chance to win a $200 gift card! The winner will be selected randomly. 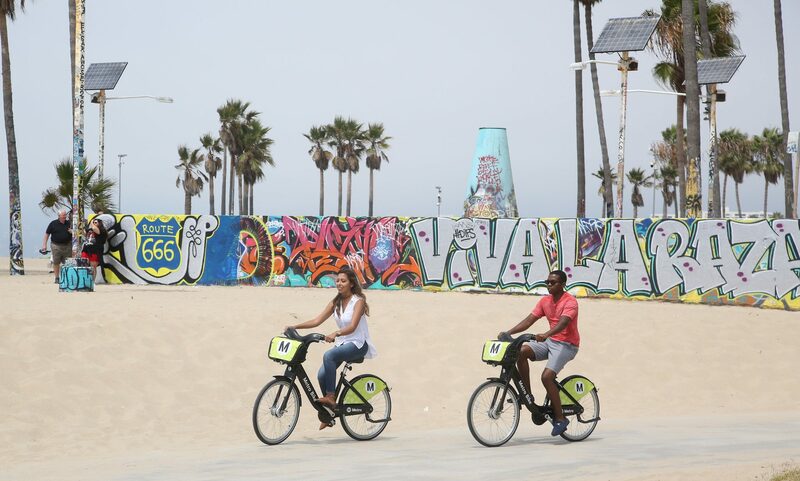 * We want your feedback whether you are a daily Metro Bike Share customer or have never heard of the system before, so feel free to share the survey with your friends and family. We look forward to hearing from you! Take the survey here until Nov. 7, 2018. *Metro employees, Board members and staff, or family members of the previously mentioned are not eligible for the raffle prize. Metro says “continues to grow”, while Pasadena dropped out. It needs to be cheaper than a bus ride. It needs to count as a transfer from a bus or train. How about adding more bike lockers at stations? Lack of secure bike parking is why I have to drive to Wardlow station every day.